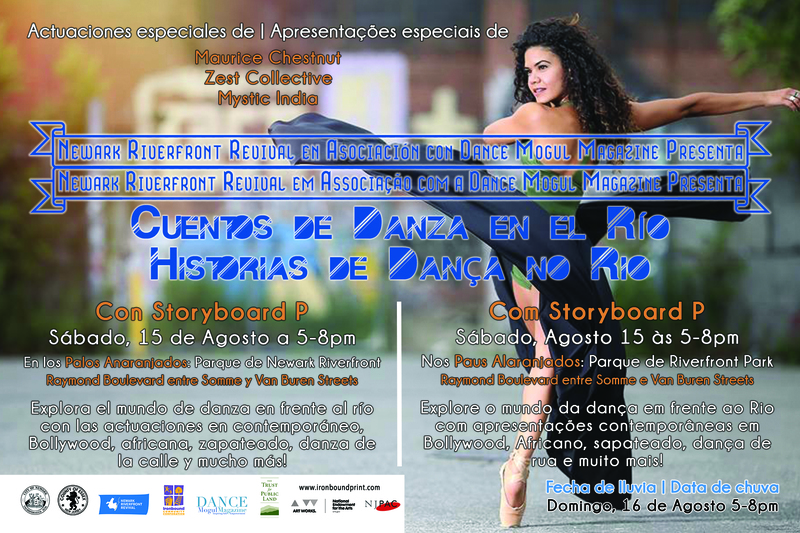 This Week at Newark Riverfront Park: Latin Splendor, Riverfront House & Dance Stories on the River and more! Thank you Newark for making this a great summer down by the River! 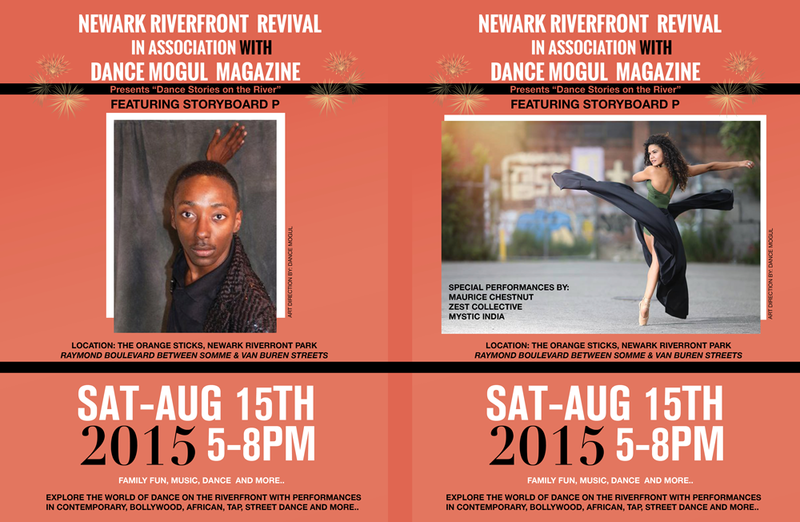 The fun continues this week with music and dance at Newark Riverfront Park! The Meadow located on Raymond Boulevard & Brill Street. 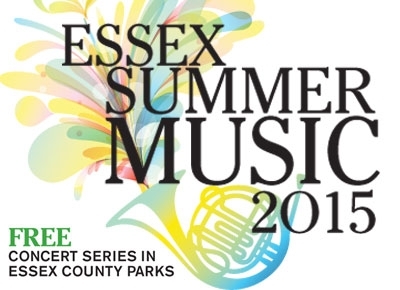 Part of the Essex County Free Summer Music Concert Series which features a diverse lineup of performers who will take center stage throughout our historic Parks System. Pack a blanket, enjoy the cool evening breeze, and dance to the sounds of summer. 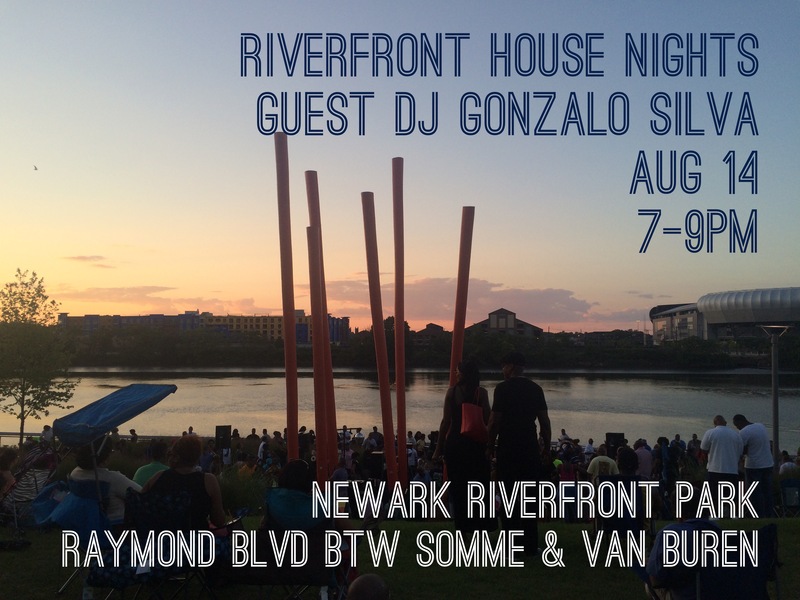 This Friday, August 14th from 7-9pm dance by the sunset at the Orange Sticks with Riverfront House and guest DJ Gonzalo Silva with DJ collectives Thread and Brick City Bandits. 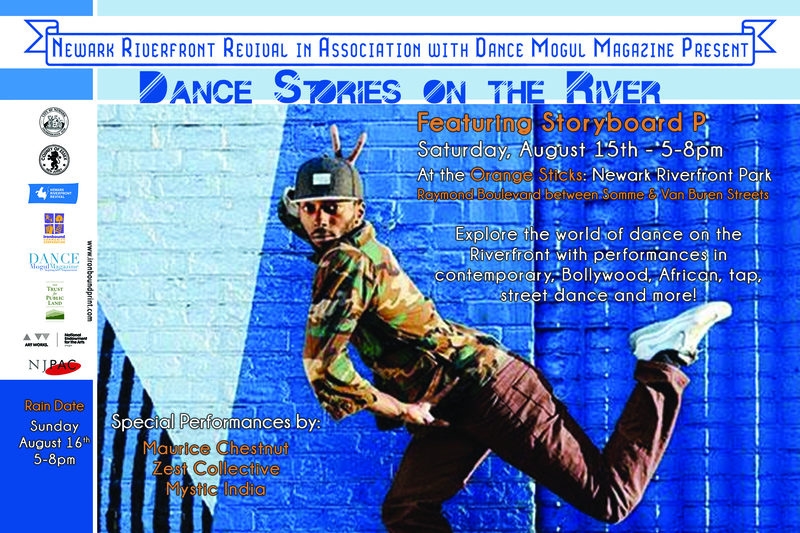 This Saturday, August 15th we are celebrating the culture of dance with our first dance production “Dance Stories on the River featuring Storyboard P” from 5-8pm at the Orange Sticks in association with Newark based Dance Mogul Magazine. Explore the world of dance by the River with celebrated artists including Newark’s own tap genuis Maurice Chestnut (work featured on Broadway and in movies like Happy Feet), a performance by Mystic India, a Bollywood style group that will be performing at NJPAC, Zest Collective, a contemporary dance troupe with an urban flair, and Storyboard P, an internationally renowned street dancer who was recently named “Outstanding Choreographer of 2015” by The Bessie Award committee (look for him in Jay-Z’s Picasso Baby and Flying Lotus’ Until the Quiet Comes) and special guests! Hope to see you down by the river!Friends of Riverfront Park, a volunteer group of residents, meets monthly in the Riverbank Park Field House every 3rd Thursday of the month. This year, the group worked to organize riverfront events, raise funds & deal with park issues like maintenance & security. Special thanks to our generous contributions from our funders and supporters! Special thanks to the National Endowment for the Arts Our Town Program, Victoria Foundation, EPA Urban Waters, Trust for Public Land, Atlantic Federal Credit Union, Franklin Parker, Freddie Mac, Seidler Chemical Company, the Habitat Estuary Program for support. Newark riverfront programs are funded by contributions from individuals, private & public organizations. Please consider making a donation today! Click here to donate by credit card or send a check or money order to “Ironbound Community Corporation” & mail to Newark Riverfront Revival c/o Marcy DePina, 920 Broad Street Room 112, Newark, NJ 07102. Learn more about Riverfront Park, Newark Riverfront Revival, Friends of the Riverfront and our partners by visiting our website at newarkriverfront.org,and signing up for our email list, following on Twitter, and Instagram @NewarkRiverfront, liking on Facebook & talking with your friends & neighbors about our river. Newark Riverfront Revival (NRR) aims to connect every Newarker to their river. Since 2008, NRR has organized for Newark’s riverfront by taking hundreds of people on boat and walking tours, hosting dozens of outreach events, organizing design education programs for youth, and staging a City Hall exhibition. Since 2012, NRR has worked with Essex County, the City of Newark, The Trust for Public Land, Ironbound Community Corporation, and other partners to build and program over 15 acres of riverfront parks, including a walking and biking trail, sports fields and courts, floating boat dock, riverfront boardwalk, playground and other settings for relaxation, picnics, exercise, and environmental education.